Discipline doesn’t get the kudos it deserves. It’s often overlooked as part of a success plan. Yet, without discipline, you cannot make the shift from ordinary to extraordinary. Discipline makes you stronger. When you practice what you love, it shows. Are you better as a solo performer, a pair or an ensemble? Some skaters preferred ice dancing to ice skating. Whatever it is, when you play to your strengths, you will excel. Discipline builds confidence. 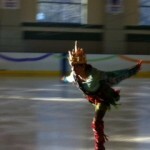 I was impressed with the grace and maturity of a young pairs skating couple who looked to be about eight years old. Heads held high, smiling, posture erect, they demonstrated confidence. The young boy held his partner with such confidence that I could envision this couple ten years into the future, winning many competitions. Mastery is discipline in action. One year of experience looks much different than 5 or 10 years of experience. 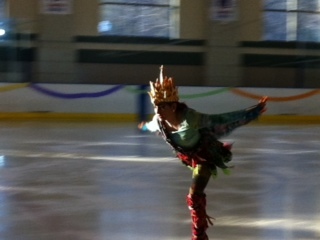 New skaters were still finding their confidence and using simpler moves. Advanced skaters jumped higher, spun faster and held poses longer. They glided across the ice effortlessly. The habit of discipline paved the way toward mastery. Clearly, discipline delivers results. What kind of discipline will get you to where you need to be? This entry was posted in Action, Discipline and tagged action, discipline by admin. Bookmark the permalink.